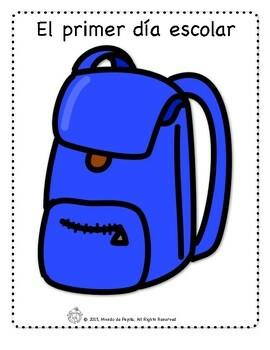 Pepita gets ready to go back to school by filling her backpack with school supplies- until her mother reminds her it's only Sunday! 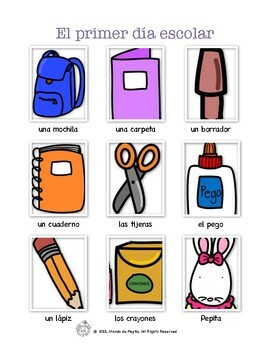 This printable Spanish minibook is perfect for introducing and reinforcing school vocabulary- the Activity Pack provides activities to retell and extend the story, along with games and a worksheet for students to personalize according to what is in their own backpack. PRINTING NOTE: Please be sure your computer is completely updated for best printing results. TpT also recommends using Adobe Acrobat for pdfs to ensure printing success. 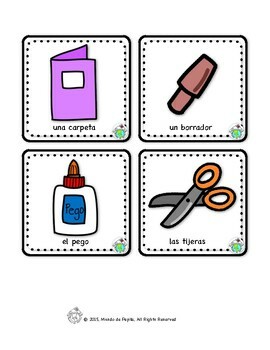 Mundo de Pepita features a series of story books and activities you can print out and distribute to your students or children. 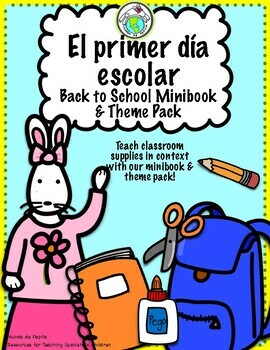 Great for teaching vocabulary and simple concepts in Spanish, each book features adorable original illustrations and simple story lines..perfect for young learners! Join us on Facebook, Twitter, Periscope, Instagram and Snapchat!